I’ve been intrigued by the UTS-15 ever since I saw the first pictures and videos of them a few years ago. I liked the modern look (which reminded me of the H&K G11) [http://world.guns.ru/userfiles/images/assault/as42/g11_1.jpg] and compact size, but the initial reports of reliability and durability issues concerned me enough to bypass them and get a KSG instead. User reports of improved functioning (plus a significant price drop…around 30%) convinced me enough to try one. I ordered it last week and it arrived on December 23—just in time for Christmas. Here are my initial thoughts. The shipping box has nicely fitted form inserts, and the manual is really excellent…maybe the best manual I’ve ever seen. It’s a real printed 57-page book, with attractive typography, detailed photos, thorough explanations and a neat little pop-up exploded parts diagram. The first thing I did was replace the A2-style pistol grip—I hate A2 grips. I installed a Magpul MOE grip—it was not a perfect fit but a little dremelling at the top rear fixed that. I like it much better. The gun comes with a screw-in breacher choke—it’s quite sharp. The manual says not to shoot it without a choke so I guess it’s staying in. 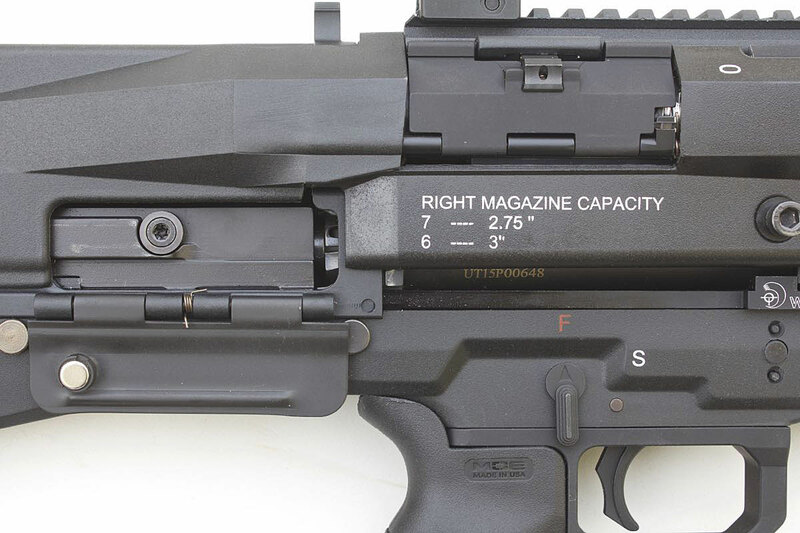 There are swing-open hatches on either side to load each magazine—seven 2 3/4” or six 3” in each. That’s one more per tube than the KSG. The ejection port is on the right side (with a magnetic latch). The KSG of course ejects from the bottom. There’s a large swing-open portion on the top of the buttstock to access the magazines and chamber. 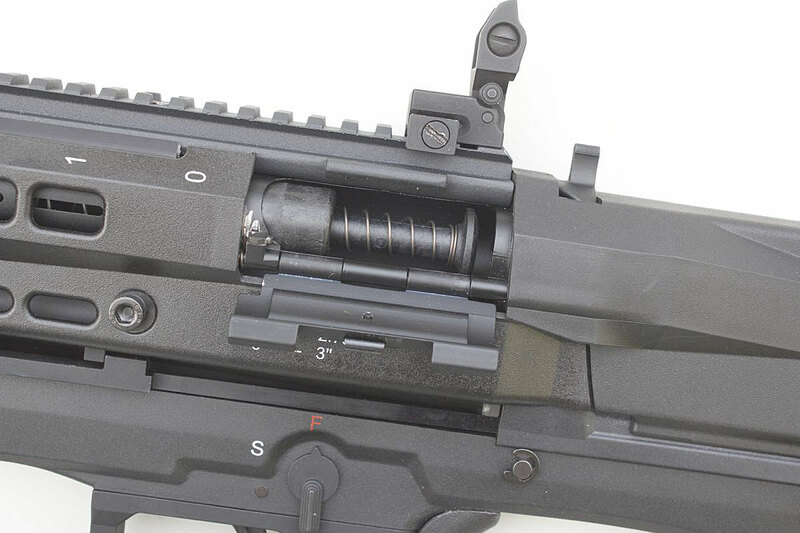 I like this better than the difficult-to access port on the bottom of the KSG. 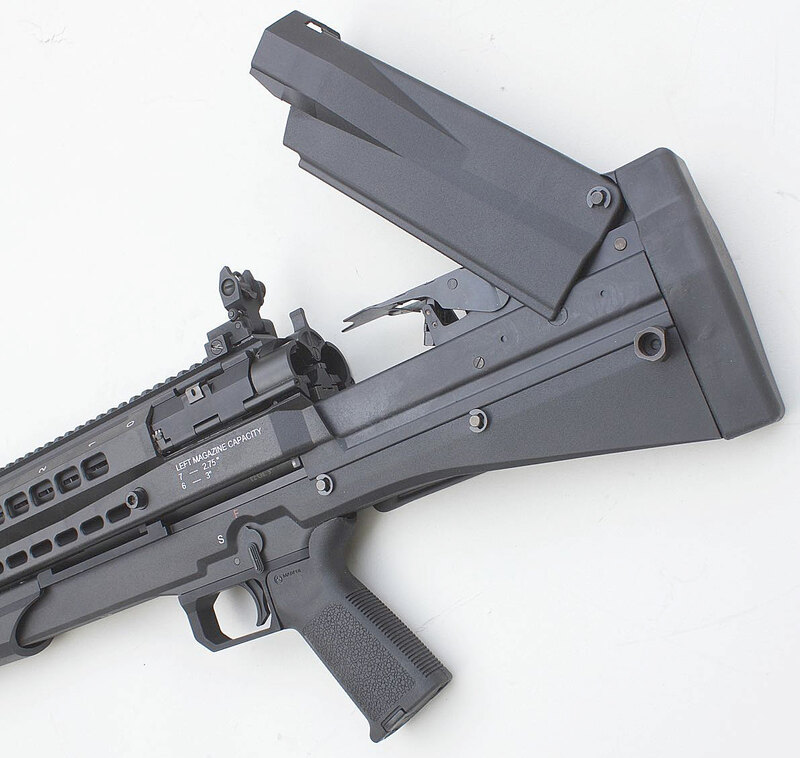 It’s like the “toilet seat” of the FS2000 on steroids. 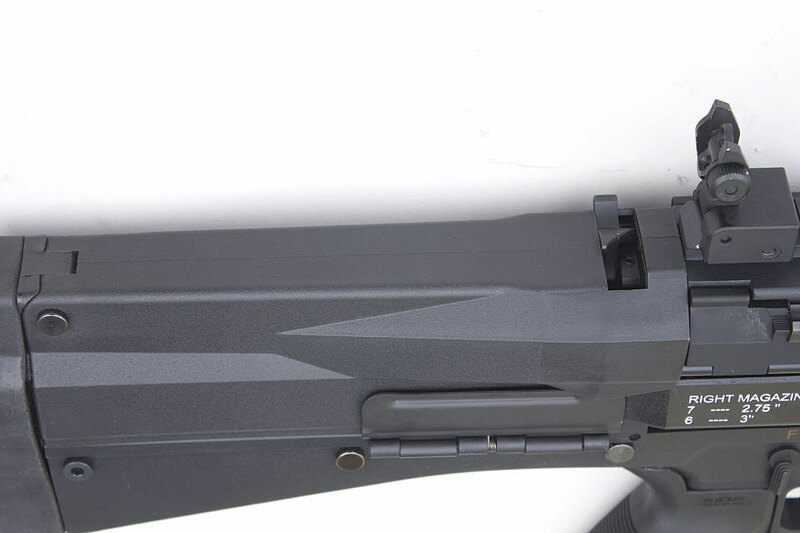 The action release is awkwardly located on the button of the buttstock. Here’s a better look at the chamber area. There’s a new aluminum housing (the “gear box”) that was previously polymer. That’s one of the improvements in this version. 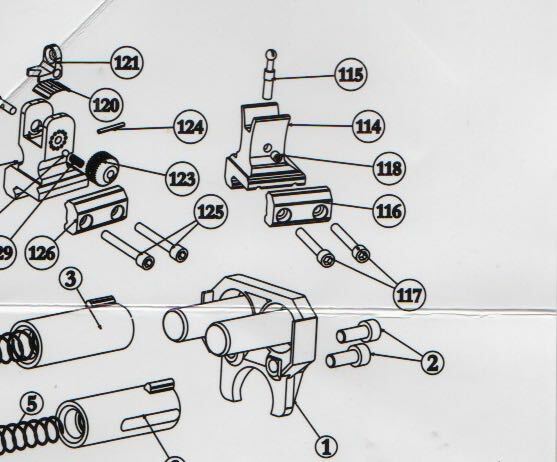 The gun easily disassembles into four major components (although I found re-assembly a little fussy…you need to sort of wiggle things into place). Here’s a close-up of the bolt. You can see the spring for the spring-assisted pump action. I’ve never owned a spring-assisted pump gun and was a little uncertain, but it feels pretty good. The spring is not too strong to make it difficult to rack, yet provides a nice boost when closing the action. I don’t think there’s a way to hold the action open, though. You can see a small screw on the right side of the spring—this fits into a slotted sheet-metal tab on the action bar. I guess that you could choose not to have the spring-assist by not slotting this in place. Here’s a closer look at there rear of the stock. The switch can be used to specify left or right mag tubes, or if left in the centre, both tubes will be used. The KSG requires a switch between tubes (although that limitation has not bothered me). You can also see that there are plenty of corners and angles. 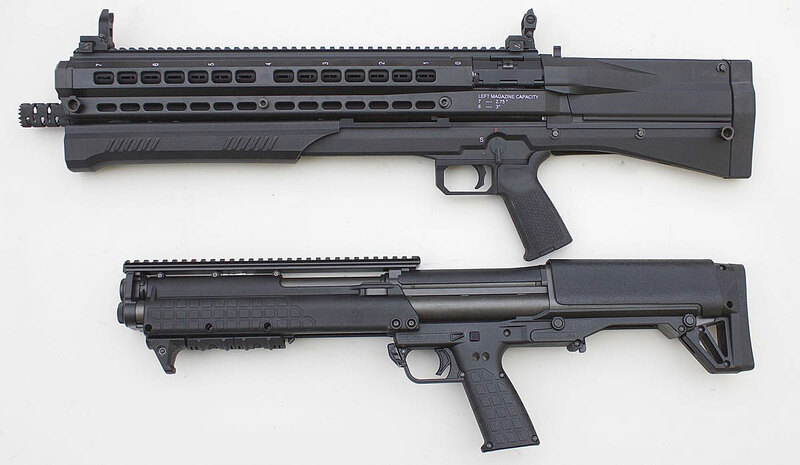 The KSG has a nicely rounded buttstock that’s more comfortable. So that’s a quick first look. What do I like? I still like the modern, unique look—my wife said that it looked like it was designed by a Japanese anime artist! I like the pump action—it’s slick and makes a very satisfying sound. I like the ease of loading. What are my concerns? The short LOP worries me a bit—the mag tube selector switch feels uncomfortably close to my nose. I’m concerned about the angular buttstock causing discomfort when firing. I must confess to a slight lingering concern about reliability and durability, too. I’ll see if I can get out to the range before I head back to work to provide a range report and side-by-side comparison with the KSG. nice review but I do have to say my ksg holds 7 2 3/4 shells and 6 3 inch shells per side. they can be tight and certain brands are too long but it does hold them most of the time. Thanks for the review. FWIW, I got tired of the ejection cover and just took it off completely. After about 1k rounds, no issues to report. I find that using Mobile 1 synthetic grease works best versus conventional gun lube. These things crave for more lubricant and as a result, functions better. I want that trigger pack and trigger guard! Much nicer than the original. In the last couple of months I've been doing some dry-firing and comparing it to my KSG, and I felt that the UTS-15 was little more awkward to handle—I was apprehensive of how it would feel at the range. I also swapped out the folding sights in the pictures earlier in the thread with a Holosun 403C sight—the sights felt a little too low to me. There was noticeably more recoil with this ammunition! But—it wasn't really that bad. Before heading to the range I was apprehensive about the corners and angles of the buttstock hitting my cheek, but while I could feel it on my cheek it wasn't bad. I don't have that dull ache in my shoulder that you can get after a 12 gauge range trip. The short LOP was no problem either. About the only issue was that the right-side ambi safety bumped my trigger finger—it was more annoying than painful, though. I tried a few buckshot rounds back-to-back with my KSG and found the UTS-15 more comfortable to shoot. I'm guessing it's due to the UTS-15 being heavier, plus having a larger buttock helps spread recoil force out, too. 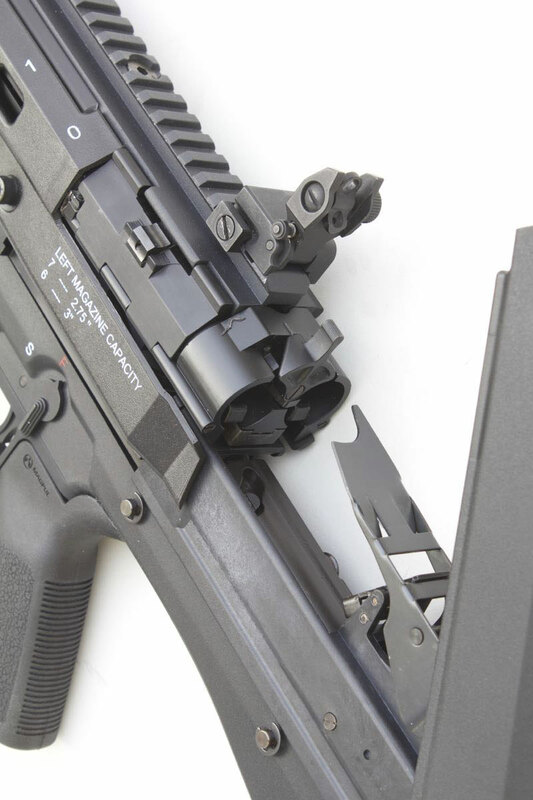 Finally, the barrel position below the mag tubes helps minimize muzzle rise, too. I ended up enjoying shooting the shotgun more than I expected to—my earlier apprehensions disappeared. I had no malfunctions at all in 50 rounds fired, and found the pumping action smooth and easy—I didn't have to concentrate on pumping extra hard or anything, just a normal stroke. I enjoyed how easy to load it was, too. It's nice when a new gun exceeds expectations! Where did you get the swivel studs and caps to replace the swivels? I would like to take the swivels off of mine as well. Thanks! Mine came that way from the dealer...sorry I couldn't be more help! Thanks DragonFly. Probably one of the improvements of the Gen 4. The current swivels are not good because when installed, the action hits them each time. I removed the swivels themselves, but really like the quick disconnect mounts you have. Think I might contact UTS and see if they can sell them to me. Do you know if the blow out in your manual shows these or the old swivels? 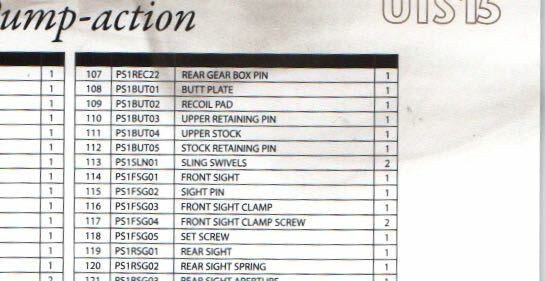 Just looking for a part number. Spring Assist is interesting the older generations (3 and below) don't have that so I am wondering if they added those to try and help people from short-stroking. I have never had that issue but looks like it might be an improvement. Wonder else they changed from Gen 3-4. Can you confirm the small diverter underneath your selector switch moves freely back and forth. From the look of one of your pictures it does, I am just trying to confirm - given this gun is new to me. Thanks again! The diverter under the selector switch does move freely. One other improvement I've read is the use of an aluminum "gearbox" to hold the trigger mechanism instead of a polymer one. 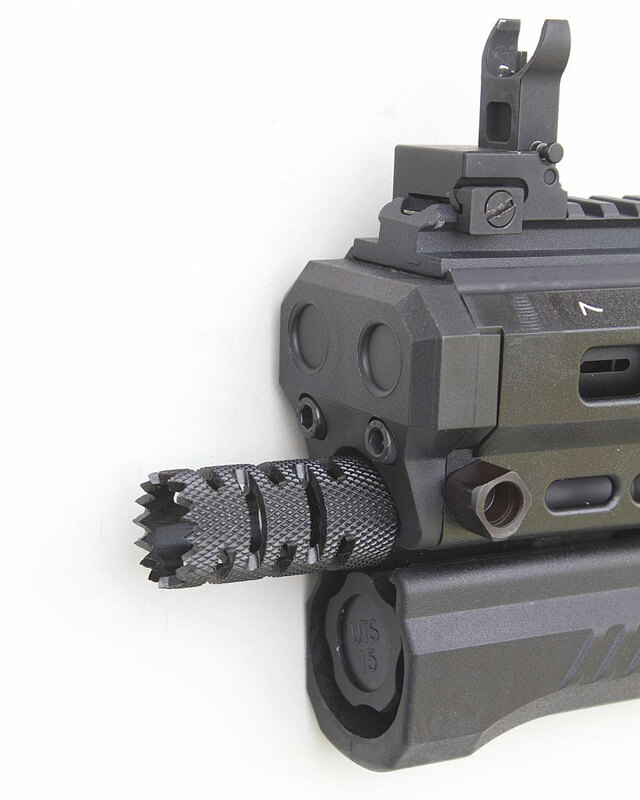 is it possible to install a foregrip on the new UTS 15? I'm current in the market for a shotgun and was looking at a few different options. I REALLY love the DP-12, but was reading its a nightmare to clean because you have to take the entire thing apart. Then I was looking at the Utas UTS 15 gen 4, looks like a beast, but i've seen tons of negative reviews about earlier gens. Now that i've seen this post and that they have fixed the issues, I might consider purchasing. Hoping you can put a foregrip on it.